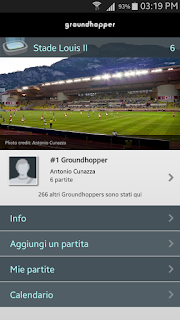 I bumped into the Groundhopper app (Android and AppStore) a few months ago - thanks to Matteo Maggio - and I fell for it instantly. 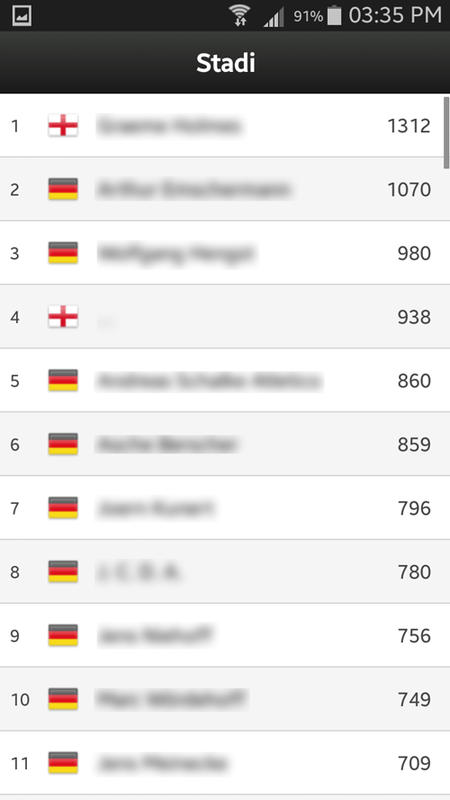 A database of more than 8.000 grounds and 300 different leagues to choose from is the best any football fan could ask for. A very simple app that allows you to register your presence at a specific football match, keeping track of your "record", exporting data to your pc and create stats and numbers from your football journeys. Fixture lists are constantly updated and, with the GPS function, you'll be able to find upcoming matches in your area, wherever you are. Most important, you can add matches seen from the past, picking from the amazing historic database provided (even if it's an abandoned or a now-demolished ground). Whether you're a mad groundhopper or just a passionate football fan, this is THE thing you need. You'll find any sort of ranking (by stadiums, by Club, by nation etc) and you'll enjoy the fun of competing "against" the greatest groundhoppers around - or just against your friends! Bring all the old tickets out of the drawer, put pen and paper aside and enjoy this app! Hi Lars, and thank you for your time. Let's begin with your football's background: when did you start following football and what are the memories of the first football game you attended? I grew up in a small town in Norway and my dad brought me along to my first football game when I was around 7 years old. Our local team was back then one of the top teams in Norway and for several years we used to go every other weekend to watch them. 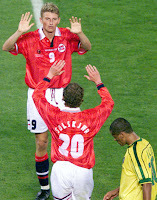 However, my main interest was English football, as was the case for most kids of my generation growing up in Scandinavia. We all had a favourite team in England and would watch a game from the English league every Saturday on TV. My club was and, of course, still is Manchester United, but it would take many years before I was finally able to go to Old Trafford and see them play. My first visit there counts as one of my best football memories. A stadium, usually big and loud, is always the thing a kid is amazed by on his first day at the football. Growing up, we tend to concentrate on other aspects: the game, tactics, etc., taking everything else for granted. Being a groundhopper doesn’t mean that, does it? 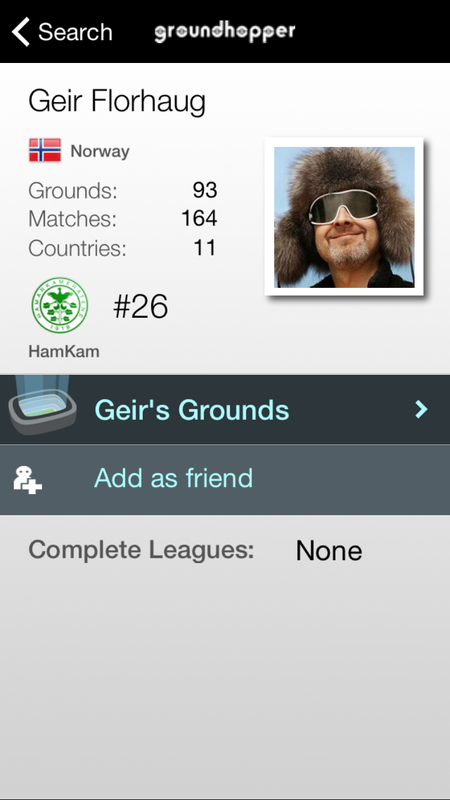 Well, despite making this app I don’t really consider myself a proper “groundhopper”. My main interest is watching football, but of course I enjoy visiting nice stadiums and have come to appreciate that aspect of the experience more. 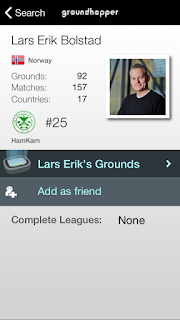 And with the Groundhopper app it has gotten more fun to visit new stadiums mainly to tick them off, of course! How’s being a groundhopper for you these days and what’s your take on “modern football” (especially with this new stadium-era going on)? 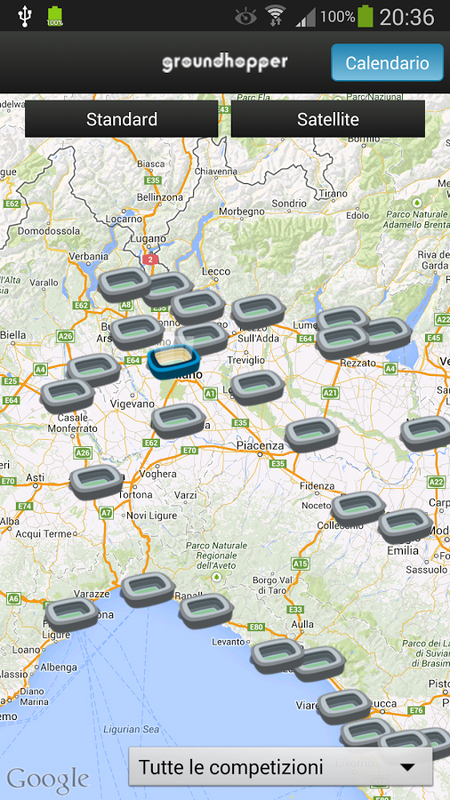 It is certainly noticeable how similar many new stadiums are. Does it affect the atmosphere negatively? I guess that's hard to say, but there are probably other factors that have such negative impact, such as high ticket prices in certain countries like England. Let’s focus on the “Groundhopper” app. What was the idea behind it at first and how did you develop it? I guess you have a team of friends/collagues working on this. We are two friends who make this app. 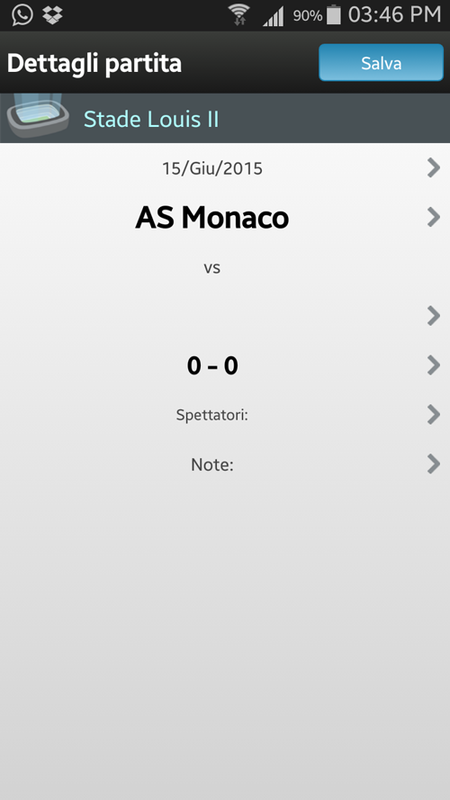 We had for many years traveled together to watch football and thought it would be nice to have an app to keep track of our matches and stadiums. It turned out no such app existed so we decided to make it ourselves. I’m a software developer by profession and Geir, my Groundhopper “colleague”, works in the creative industry and is really good at graphics and drawing. It’s a hobby project that we work on in our spare time and it is great to see that quite a lot of people around the world really seem to like it. Tell us more about the app and its functions. I know there’s also a community connected to this and it can help groundhoppers from all over the world to share infos and be in touch with each other, right? The main purpose of the Groundhopper app is to let you keep track of football games and stadiums you’ve been to, as well as helping you find games to watch. For this we have fixture lists and historical results for around 300 leagues all over the world to make it easy to find a match to watch wherever you are, and to enter games you’ve been to in the past. 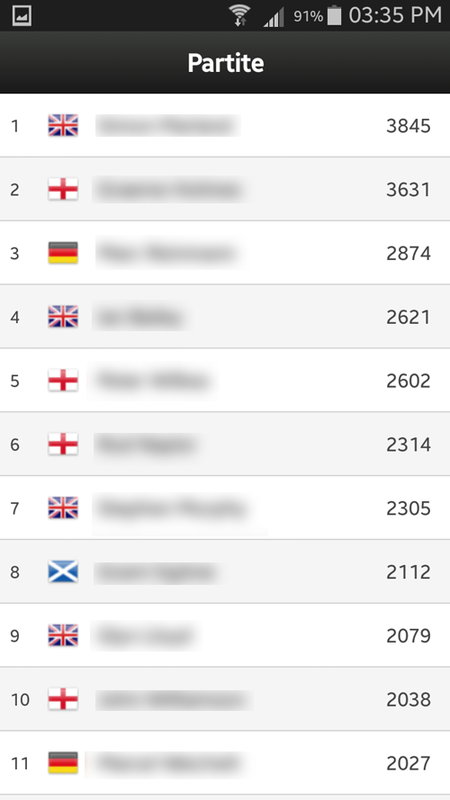 There’s also a competition aspect in the app and we have all sorts of ranking lists, including separate rankings for every club and stadium. 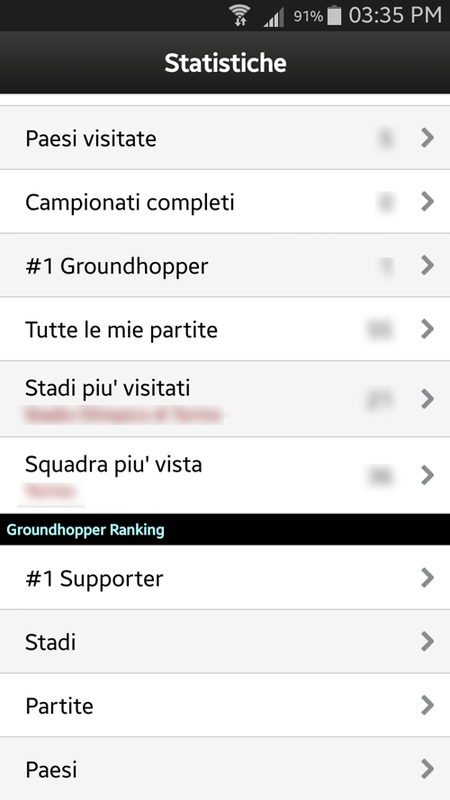 So users compete to be the number one fan of their club or to be the one with the most visits to a particular stadium, and of course to have the most stadiums, the most countries, to complete the most leagues (in order to complete a league you must have visited all its stadiums at least once, ed), etc, etc. How do you enforce and update every fixture list from every different league into the app? There must be some programming work behind it but it must take some effort anyway. We pull in fixtures and results from many different sources. Results daily, fixture updates more or less once a week. This process is for the most part automated, but does require some manual tweaking before the data is exposed in the app. As our user base grows we tend to get quick feedback when something is wrong, for instance if a match is listed under the wrong stadium. (when you register a match you also have the chance to create one from scratch - if it's not in their database: date, clubs involved, stadium, final result and a brief description. Plus every user can contribute sending personal pictures of a specific ground to be used for the stadium page, ed). Is there a ground, in your experience, you’d tell everyone to go mainly for its outstanding architectural shape and sightlines? Lars: I think a lot of new stadiums these days look quite similar, but among those I’ve been to that stand out architecturally I would mention the Allianz Arena in Munich and the Emirates Stadium in London. As for sightlines, as long as there’s no running tracks around the field and no pillars blocking my view I’m happy. 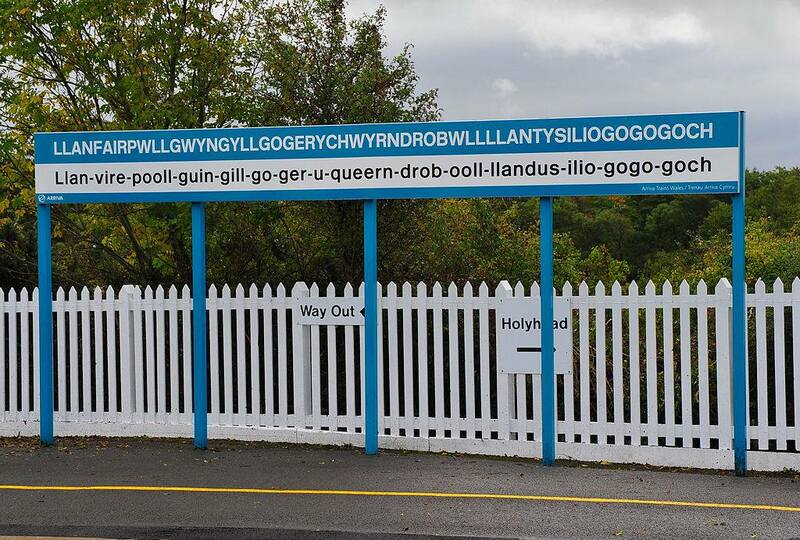 Geir: The home ground of Llanfairpwllgwyngyllgogerychwyrndrobwllllantysiliogogogoch FC. Just for the tongue exercise! And what about a stadium you’d recommend for its matchday atmosphere? Lars: I’ve been to the San Siro and watched AC Milan against Inter a few times, and those matches are on top of my list when it comes to atmosphere in the stadium. I’ve also been there and seen Inter play less illustrious teams and of course that’s a quite different experience. So of course it matters a lot who are actually playing, but I always recommend going to Italy to see one of the classic derbies there (a few weeks ago, the Groundhopper team went to Turin to see the Toro-Juventus derby, won by granata -21, ed). Another stadium worth mentioning for its great atmosphere is the Westfalenstadion (or Signal Iduna Park), Borussia Dortmund’s home ground. Geir: Being a Manchester United supporter I wish I could say Old Trafford, but unfortunately it shares the atmosphere with many of the big clubs who attracts all kinds of supporters, not just the noisy kind. 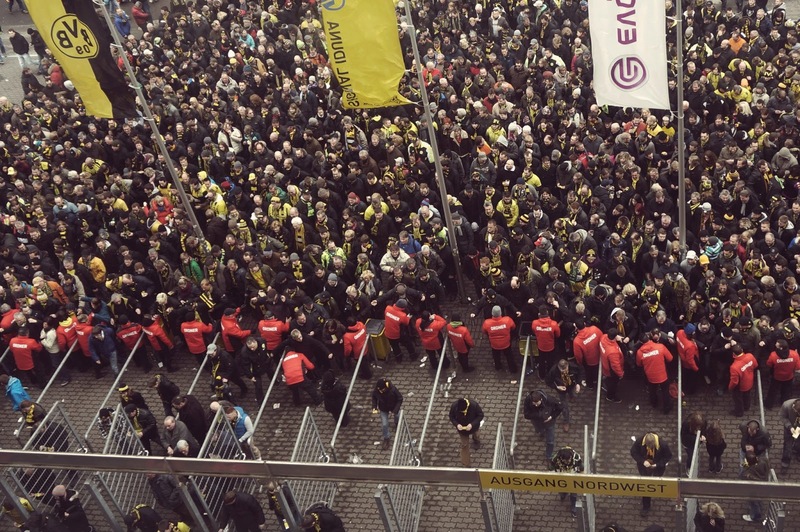 Of the big ones I think Signal Iduna Park in Dortmund with "Die Gelbe Wand" ("The Yellow Wall"), the largest extant terrace for standing spectators in Europe. It will deliver great atmosphere on almost any occasion. One that really took me by surprise, though, was a much smaller ground. Guldensporen Stadion in Belgium, the home of KV Kortrijk, where the home crowd was constantly on fire on terraces with the simple construction of the common 70's English ground: one huge piece of stand covered by a simple roof resting on steel pillars. Everyone has a ground still missing in his “I’ve been there” list. Which one is yours? Lars: I have several! I really would like to go to Buenos Aires and see River Plate play Boca Juniors. And I’d like to go to Istanbul and see Galatasaray play Fenerbahce or Besiktas. 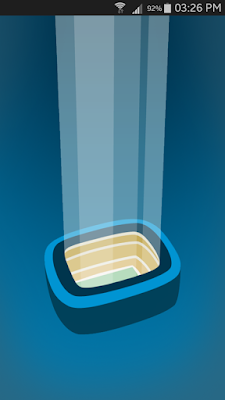 As for stadiums, I definitely would like to go to Wembley some day. Geir: Wembley. The towers might be gone, but Manchester United will be back. If you’d tell a story from a stadium where you’ve been in the past, which one would suddenly spring in your mind? 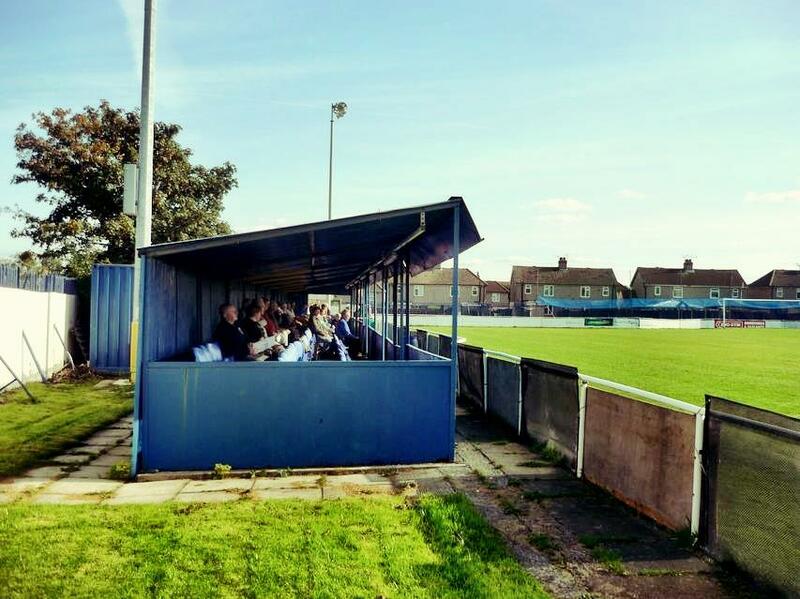 Geir: I went to Kirkland Stadium to see Cammell Laird, a Non League club across the Mersey from Liverpool. The crowd counted approx. 50 people, mostly old players and relatives, I suppose. When I went out the gate a couple of minutes before the final whistle a guard asked me where I was from. "From Norway", I said, and asked if they got many foreign visitors, being located so close to Liverpool. "Of course", the guard said. "We had two visitors from Netherlands last year!". Then he said I should have a pin as a souvenir and went off to get me one. When he returned five minutes later, he invited me to be their guest in the players' lounge after the match. With the team and staff. And the old players. And the relatives.. Watching a game is essential from a groundhopper point of view, but sometimes we visit a stadium via a guided tour or getting inside on our own (if it’s a lower league ground). 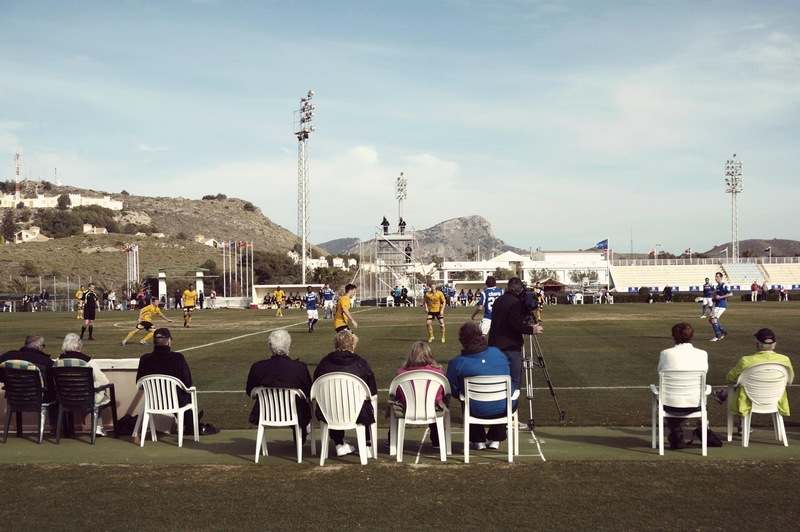 Can that be considered groundhopping? Are you planning on considering this specific option for the app in the future? This is something users ask for from time to time, so we’ll see. The whole concept of the app is built around registering matches, though, so it would take a bit of redesign. 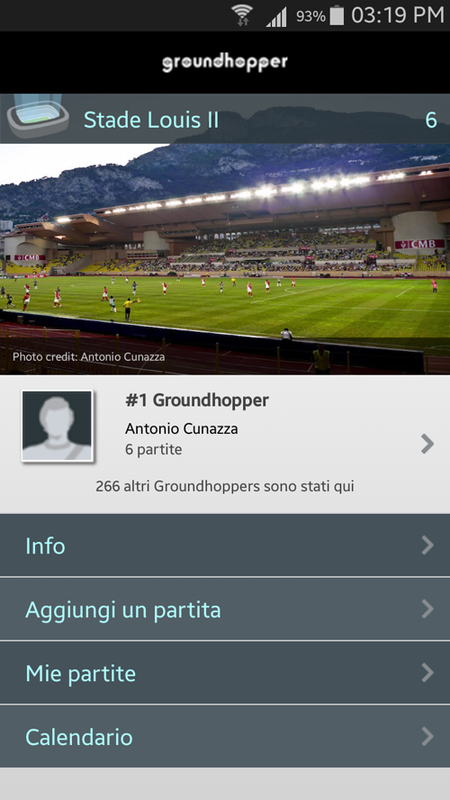 As for what can be considered groundhopping or not, we’re not enforcing any rules in the app. We’re at the end of this interesting interview and we’re curious to know: what are your “Groundhopper” app stats? It’s been great chatting with you, thank you again, see you sometimes at the football! 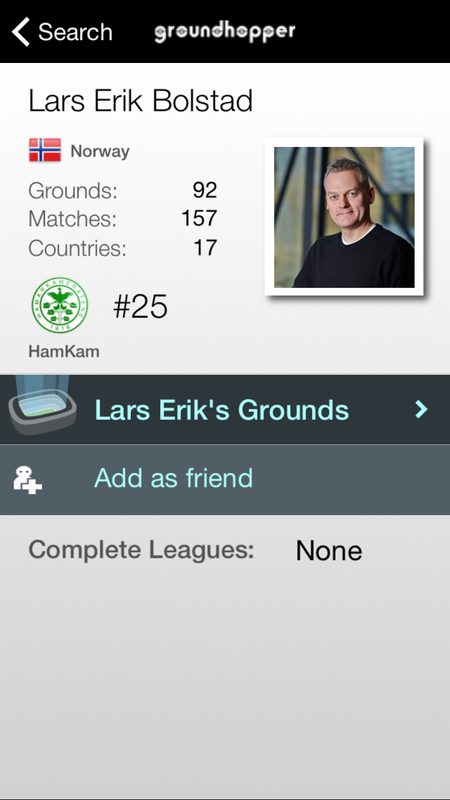 The Groundhopper app is available from Android and App Store markets. You can purchase it for around 2.00€ (otherwise, there's a free version available, letting you test some functions with a fixture database limited to the past two seasons).